Hmm, my official answer would be I have absolutely no idea. Sorry! 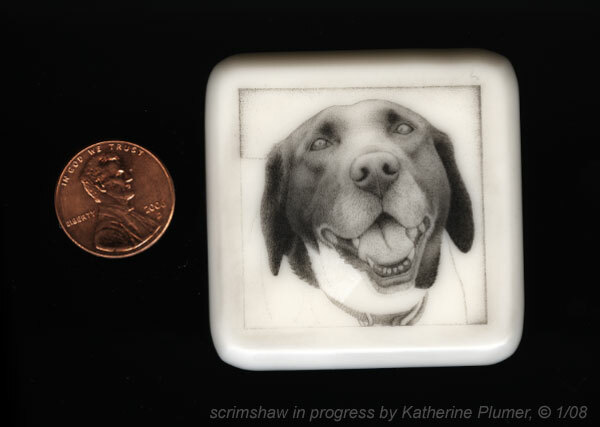 Your scrimshaw, if indeed that is a piece of your artwork, is lovely. You must be young with good eyes yet. Lovely work!